Neuroplasticity is a topic of enormous practical importance. Norman Doidge, M.D., psychiatrist, pioneer, united the world with evidence that the brain is highly adaptable and undergoes constant change throughout life. At these two-day trainings, he outlines the implications for human potential, treatment and keeps us at the forefront of neuroplasticity and its remarkable changes. 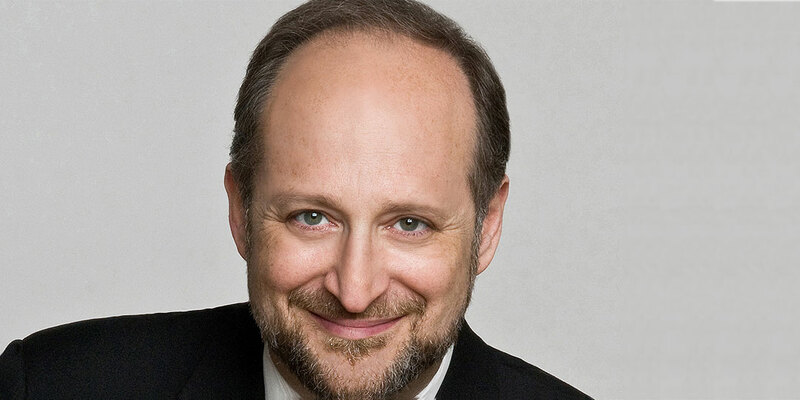 Byron Clinic proudly presents Norman Doidge M.D.’s, world-first two-day seminar workshop, outlining revolutionary research into, and his own reconceptualizing of, the brain’s amazing capacity to heal, and how to apply these discoveries to clinical practice. Norman Doidge’s latest exploration of neuroplasticity has played a major role in overturning the long-held belief that the brain’s sophistication and complexity came at a steep evolutionary price: its circuits were too complex to heal when damaged or diseased. Doidge shows this very complexity is the key to its ability to create new neural pathways and overcome previously baffling mental and physical conditions. He will introduce “the plastic paradox”: how certain conditions, such as addiction, bad habits, defense mechanisms, chronic pain, dystonias, PTSD, and OCD are caused by the brain’s plasticity going awry, to reinforce maladaptive symptoms, and identify clinical strategies to remedy these. Norman Doidge will illustrate how new neuroplastic approaches can alter or develop brain structure and function using patterns of energy, and that our senses, which are “transducers” can convert energy of one form into the electrical patterns of energy of the brain, to change the neuroplastic brain. Using the body, the senses and the mind, individuals and clinicians can non-invasively re-synchronize and re-route neural pathways to improve functioning without the use of medications, or surgery. The neuroplastic components of psychotherapy, dreams, trauma and dissociative disorders will be reviewed. This innovative seminar workshop will inspire and offer hope to those working with conditions which have until now been considered untreatable, plus provide new ways of understanding how neuroplasticity can be used for more common problems. He will discuss how to integrate these ground-breaking scientific insights into clinical practice, ultimately improving quality of life and well-being. 9am – 10.30am: Introduction – Neuroplasticity: A new view of what goes wrong in brain, psychiatric and many common psychological problems. Overview of the five stages of neuroplastic healing. 11am – 12.30 am: Stage 1 of Neuroplastic Healing. 1.30pm – 3pm: Stages 2, 3, and 4 of Neuroplastic Healing: Neurostimulation, Neuromodulation, and Neurorelaxation. 9 – 10.30am: Stage 5 of Neuroplastic Healing: Differentiation. Brain exercises to improve functioning. Schizophrenia. 11 – 12.30pm: The plastic paradox: “Plasticity gone wild”. Chronic pain, PTSD, OCD, and dissociative disorders. 1.30 – 3pm: Complex case conceptualization for learning disorders, stroke, TBI and cognitive deficits in terms of the stages of neuroplastic healing. 3.30 – 4.30pm: Integrating scientific insights into clinical practice. Helping patients, obstacles and how – approach clients. Review, Q & A. CATERING IS NO LONGER AVAILABLE FOR THIS EVENT — PLEASE MAKE YOUR OWN ARRANGEMENTS FOR MORNING/AFTERNOON TEA AND LUNCHES. Please list one person per each registration form. Workshop places are limited and will be booked on a first come first served basis. A person is not registered for this workshop until the completed registration is received and workshop payment has been processed. All payments to Byron Clinic Pty Ltd are to be processed via our online facility, unless otherwise stated. We do not offer offline credit card processing. A tax receipt and confirmation of your registration will be issued via email to your nominated email address within 7 days of receipt of payment. You agree to contact Byron Clinic Pty Ltd if you have not received notice or a receipt within 7 days of payment. Requests for copies of tax invoices/receipts after this 7 day period will incur an administration fee. In the event that Byron Clinic Pty Ltd provides refreshments they will include a selection of vegetarian and gluten free food. Byron Clinic Pty Ltd does not cater for any other special diet requirements. Byron Clinic Pty Ltd also reserves the right to make any changes to any events, treatments, programs or workshops without notice. Byron Clinic training workshops are directed at interested mental health professionals. Workshop content information is available on our website. There are generally no prerequisites to attending Byron Clinic workshops. You are welcome to attend, however you attend under your own volition. Byron Clinic takes no responsibility as to the suitability of any workshop. Cancellations must be made in writing. We recognize that unforeseen circumstances may arise; however Byron Clinic Pty Ltd will not accept responsibility for these. In the event of cancellation prior to the close of standard registration on 10 April 2016, Byron Clinic Pty Ltd will refund all workshop payments made less a $AUD99.00 (inc gst) cancellation and admin fee. Absolutely no refunds will be made for cancellations after close of standard registration (10 April 2016). Prior to the close of the standard registration period (10 April 2016), a substitute may attend in your place. Please notify us as soon as possible if you are transferring your registration — please note that a transfer of registration will incur a $AUD66 (inc gst) administration processing fee. This also includes transferring from one workshop venue to another. In the event Byron Clinic Pty Ltd needs to cancel the workshop, then a full refund will be made of any workshop payments made, excluding the processing and administration fees. Byron Clinic Pty Ltd will not be responsible for any cost other than the workshop payment. Following the close of the standard registration period for a workshop, we are unable to transfer registration. Any additional administration on payments or workshop matters including change of details, additional contact, requests for additional copies or changes to the attendance certificate or tax invoice will incur a $AUD99 (inc gst) administration fee per item. Byron Clinic Pty Ltd reserves the right to make any changes to the above workshop without notice. Byron Clinic Pty Ltd reserves the right, at its sole discretion, to decline entry to any of our workshops to anyone who may have registered, and/or to discontinue attendance to anyone who may have registered. A full refund less a $AUD99 (inc gst) cancellation fee will be remitted to the refused registrant. Please contact us via our contact form here, selecting the “Workshop” => “Norman Doidge 2016” option and we’ll get back to you as soon as possible. Brilliant and highly original. Neurology used to be considered a depressing discipline with patients often displaying fascinating but essentially untreatable symptoms and disabilities. Drawing on the last three decades of research, Doidge challenges this view, using vivid portraits of patients and their physicians. The book is a treasure-trove of the author’s own deep insights and a clear bright light of optimism shines through every page.